Pennsylvania Rep. Ryan Costello announced his retirement from Congress at the end of the year. The 2nd term Republican's path to reelection became more challenging with the state's recent court-ordered redistricting. The prior 6th district went for Hillary Clinton by about 0.6% in 2016, while the redrawn boundaries voted for her by 9%. Costello's timing is not helpful to his party's chances to hold the seat. With the state's filing deadline having passed March 20th, the only other Republican on the May 15th primary ballot is a relative unknown. However, if Costello remains on the primary ballot and wins, the state party could select a replacement for him. Neither scenario is ideal. Sabato's Crystal Ball has changed the district rating from toss-up to likely Democratic. There are now 53 current members of the U.S. House not seeking re-election in 2018. Mississippi Gov. 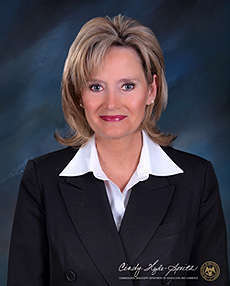 Phil Bryant is expected to appoint Cindy Hyde-Smith to replace retiring Sen. Thad Cochran, the Clarion-Ledger reports. Cochran previously announced he would leave the Senate on April 1st, citing health issues. Hyde-Smith, the state's agriculture commissioner would be the first female U.S. Senator in the state's history. The appointment is temporary, with a special election to be held on November 6th, the same date as the 2018 midterms. The winner of that election will serve the final two years of Cochran's term. The special election is unusual in that all candidates will appear on a single ballot, with no party affiliations listed. If no candidate gets a majority of the vote, a top-two runoff election will follow on November 27th. While others may declare, it is likely that Hyde-Smith's primary challengers in the special election would be fellow Republican, state Sen. Chris McDaniel, and Democratic former U.S. Rep. Mike Espy. If Democrats hope to flip this deep red seat, the most viable path - although still a long-shot - would be for the far-right McDaniel and Espy to advance to a runoff. The Mississippi special election brings to 35 the number of U.S Senate seats to be contested in 2018. The U.S. Supreme Court has denied the Republican appeal to block implementation of the new map. This would seem to close the door on this issue -- the new district boundaries ordered by the Pennsylvania Supreme Court will be effective for the 2018 midterms. The brief order can be seen here. The decision came shortly after a federal court dismissed a separate appeal by some Republican congressmen. UPDATE: The U.S. Supreme Court has denied the Republican appeal to block implementation of the new map. This would seem to close the door on this issue -- the new district boundaries ordered by the Pennsylvania Supreme Court will be effective for the 2018 midterms. A panel of federal judges dismissed a challenge to the redrawn Pennsylvania congressional map. The ruling comes one day before the March 20th deadline for candidates for the U.S. House to qualify for the state's May 15 primary. A separate appeal to the United States Supreme Court remains outstanding. This is the only remaining court that could halt the redistricting. Although Republican Rick Saccone has yet to concede last week's 18th district special election to Democrat Conor Lamb, he is gathering the signatures needed to file in the new 14th district. This new district includes much of the prior 18th, but is even more GOP-friendly. Donald Trump won the old 18th by about 20 points, while those in the redrawn 14th voted for him by 29 points. Lamb is expected to run in the new 17th district, which includes about 55% of the former 12th district, currently held by Republican Keith Rothfus. The district now includes more of Allegheny County and is thus expected to be quite competitive this November. Assuming Lamb is eventually seated, and if both make it through the primary, this will likely be the only district where two incumbents will face off in the general election. (Five of the state's incumbents have already announced they are not running for re-election). The map below shows the current ratings for each of the new districts for November's election. The 14th is safely Republican, while the 17th is considered a toss-up. There are three other toss-up races near Philadelphia. Most of the remaining districts are safe Democrat or Republican, although there's a possibility the 8th and/or 10th district could become competitive. Ratings courtesy of Sabato's Crystal Ball. Democrat Conor Lamb is the apparent winner of the special election in Pennsylvania's 18th congressional district, according to a projection from NBC News. Out of over 228,000 votes counted, Lamb leads by just 641 votes over Republican Rick Saccone. All that remains to be counted are some absentee ballots. While this could change the margin slightly, it is not believed that there are enough of these to make a difference. Lamb declared victory early Wednesday. Saccone has not yet conceded. The Associated Press has not yet made a call on the race due to the possibility of a recount. The next special election is scheduled for April 24th in Arizona's 8th congressional district. The seat was vacated by Republican Trent Franks late last year. That race features Republican Arizona State Senator Debbie Lesko against Democrat Hiral Tipirneni, a physician. If anything, this suburban Phoenix district is a bit redder than the one contested in Pennsylvania Tuesday -- Donald Trump won here by 21% in 2016. No polling of the general election is available yet; Republicans are favored to hold the seat based on a review of forecasts by various pundits. It's a nail-biter in Pennsylvania's 18th district tonight. With 99% of the vote reporting, Democrat Conor Lamb leads by about 0.4% over Republican Rick Saccone. It looks like what is left is a couple precincts in Westmoreland County and some absentee ballots, most of which will apparently be counted tonight. The AP has indicated that it is not prepared to make a call tonight due to the possibility of a recount. ADVISORY: The Associated Press is not declaring a winner in Tuesday's special election for PA's 18th CD because the race between Democrat Conor Lamb and Republican Rick Saccone is too close to call. Under PA state law, supporters of the trailing candidate can request a recount. The special election for Pennsylvania's 18th district is today. The winner, Republican Rick Saccone or Democrat Conor Lamb, will complete the term of Republican Tim Murphy who resigned last fall. This article, from FiveThirtyEight, does a very nice job of previewing the election, along with what to watch for as the results come in tonight. Polls are open until 8PM ET. Recent polling has Lamb slightly ahead in what has been a solid Republican district in recent years. President Trump won the district by about 20 points in 2016 and Murphy's re-election that year was uncontested. Democrats have consistently outperformed the presidential results in the congressional special elections held during the Trump presidency. However, Republicans have held all five* seats in the House. Democrats did pick up a Senate seat in Alabama. Seen as another referendum on the Trump presidency, both parties are throwing a lot of money at the special election. While that's good for Pittsburgh-area media companies, this district will not exist in its current form next year. As part of a court-ordered redistricting, a large portion of the current 18th will be in the redrawn, safely Republican, PA-14 this November. As a result, if the Democrat Lamb wins today, he's most likely to run in the new PA-17 against 'incumbent' Republican Keith Rothfus. Even if the Republican Saccone loses, he could keep the campaign together to try again in the hospitable PA-14 this fall. * California uses a top two primary to determine the general election match-up. The 34th District special election was contested between two Democrats. The Mississippi Senate special election has been added to the Senate Interactive Map. The winner of that seat will complete the final two years of Sen. Thad Cochran's term. Cochran announced he will resign as of April 1st. Mississippi's Gov. Phil Bryant will appoint a temporary successor who will need to participate in November's election should they wish to continue to serve. There are now 35 Senate elections that will take place on November 6th. Democrats hold 26 of these seats, Republicans 9. To win control, Democrats must gain two seats. As we've noted many times, it is an uphill climb. The most likely path is to hold all 26 seats, and flip Arizona and Nevada. Falling even one short of that would require a major upset in a deep-red state such as Texas or Tennessee. While the 2018 environment favors Democrats, running the table in 26 party-held seats means winning in ten states where Donald Trump won in 2016, including five where he won by 18% or more. These include West Virginia (Trump by 42%), North Dakota (36%), Montana (20%), Indiana (19%), and Missouri (19%). An Axios/Survey Monkey series of polls this week showed Trump's approval remains above 50% in all those states with the incumbent Democrat trailing. The Senate heats were mostly against a 'generic' Republican at this point, so we wouldn't get too caught up on any single result. The larger point is that Democrats cannot afford even a single misstep in some very difficult states for them. Here's how each race is currently rated by Sabato's Crystal Ball, Inside Elections, and The Cook Political Report. The table on the left lists any race where one or more of the pundits thinks it is or could be competitive. Conversely, the bottom right lists the 17 races that are safe for the incumbent party. The table at top right summarizes everything. There are currently 14 races with one or more leaning/toss-up rating. This number should decline as the individual match-ups become known. The team at Sabato's Crystal Ball has made a number of rating changes for the November House races; all of which move in the direction of the Democratic party. The cumulative effect is that, for the first time this cycle, Republicans are favored (leaning Republican or better) in fewer than 218 seats. 218 is the magic number for control of the 435-member House, when there are no vacancies. With the changes, Republicans are favored in 214 seats this November, Democrats 197, with 24 toss-ups*. Looking at the most 50 most competitive races (toss-ups + leans), Republicans currently hold 45 of them. None of the Democratic incumbents in the five remaining seats are running this November. Put another way, every Democrat seeking re-election this fall is considered safe or likely to hold the seat. At this point, control of the House is clearly in play, and the number of competitive seats is expanding. However, we're still eight months out from the election, so much can change. If the trend stabilizes, and Republicans can hold the seats where they're currently favored, they don't need to win all that many of the toss-up districts to keep the House. Conversely, if the environment for the GOP continues to worsen, Democrats could easily surpass the 218 they need to take the gavel from Paul Ryan. Click or tap the map above to explore the interactive House map and create your own forecast. The map has recently been updated to make it easier to use. * Sabato has also moved their rating for next Tuesday's Pennsylvania PA-18 special election to toss-up. As part of the court-ordered redistricting, a large portion of the current 18th will be in the redrawn, safely Republican PA-14 this November. If the Democrat Conor Lamb wins Tuesday, he's most likely to run in the new PA-17 against 'incumbent' Republican Keith Rothfus. In any case, our map is looking beyond the special election to the ratings for November, which gets us to the 214 Republican total, with 24 toss-ups.